REVOX Sterilization Solutions is part of the Cantel Medical Corp.; a company dedicated to infection prevention and control. Our in house experts include mechanical engineers, chemists, microbiologists, quality assurance and regulatory affairs professionals. The REVOX team will work to understand your challenges, concerns, and opportunities and provide expert insight to help you decide if REVOX Sterilization is the right sterilization solution for your product or product concept, and/or operational efficiency improvement goals. 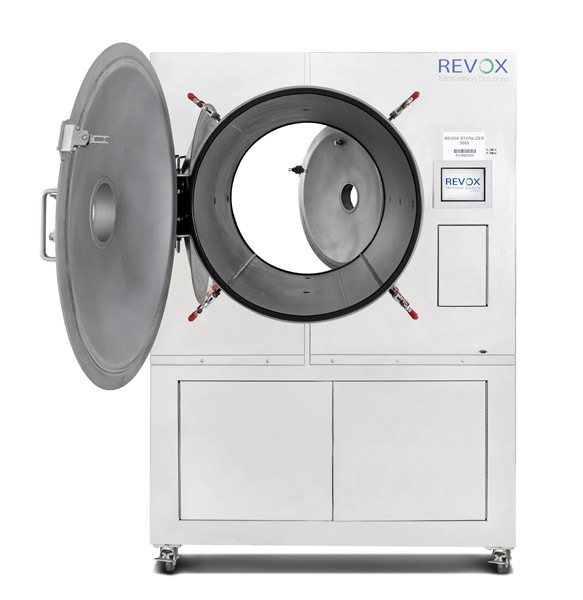 REVOX® Sterilization uses a patented, room-temperature peracetic acid (PAA) vaporized sterilant that achieves exceptionally low chemical residuals and unsurpassed materials compatibility. The REVOX™ technology eliminates inefficiencies associated with pre-conditioning and lengthy post sterilization wait times. 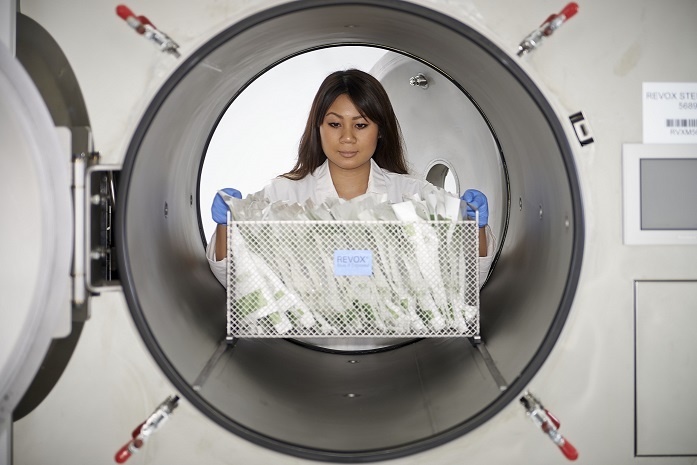 This allows REVOX Sterilization to offer manufacturers a quick-turn, off-site sterilization service or cost efficient on-site, in-line processing. In May 2014 a Class II implantable device was granted FDA clearance with the REVOX sterilization process. The REVOX innovation is backed by a company with over 35 years of infection prevention and control advancements structured under strict regulatory compliance standards. The complete manufacturing stream should be exactly that: efficient and complete. Pulling components from the line for sterilization defeats the very purpose of having a production line. REVOX provides in-line sterilization, which finally allows you to integrate sterilization into a lean manufacturing system. It speeds up production and gives you a substantial competitive edge. Think of it as JUST-IN-TIME™ sterilization. It’s your time. Make the most of it. There are many restrictions with conventional manufacturing materials that can only be sterilized by traditional methods. REVOX changes that. With superior compatibility across a wider range of materials, you have more options to create life-saving medical devices more efficiently. You can now create the products that will demonstrate your true potential and save lives. Can The Medical Device Industry Overcome Legacy Sterilization Methods?